5” x 5” x 1.5”. 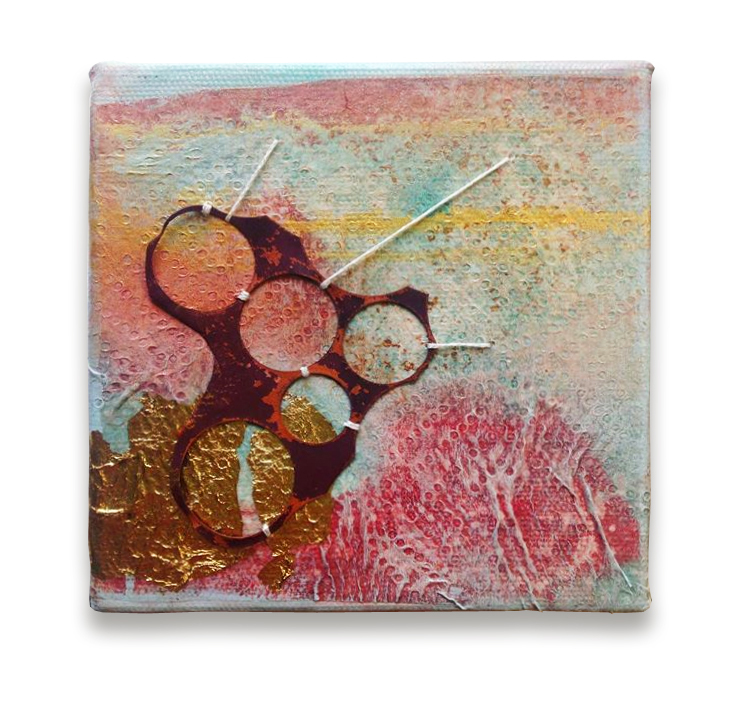 Acrylic, textured paper, embroidery thread and fired copper on canvas. Coral reef is a lighter-colored work than many of my others, and has nubbly-textured swaths of dark pink and gold leaf against a light blue and gold wash of color. A dynamic copper piece is held in place by soft white embroidery thread.